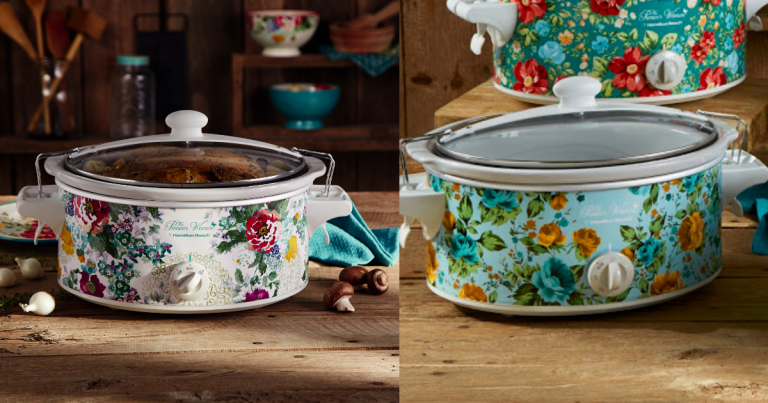 Only $19.99 – Choose Country Garden or Rose Shadow. The lid quickly seals in place with clips for spill-resistant travel, and the full-grip handles make carrying easier. High, low & warm heat settings for all your cooking and serving. Fits a 4 lb. roast or 6 lb. chicken. Removable stoneware and glass lid go in the dishwasher for easy cleanup. Shipping is FREE with $35 purchase, or choose free store pick-up. If you don’t have an Amazon Prime Membership, use THIS LINK for a free 30 day trial! If you decide you love it as much as we do, you can buy a full year for only $199, or pay just $12.99 per month!